With the ongoing drug epidemic, prescriptions are a commonly attacked item to fraud. 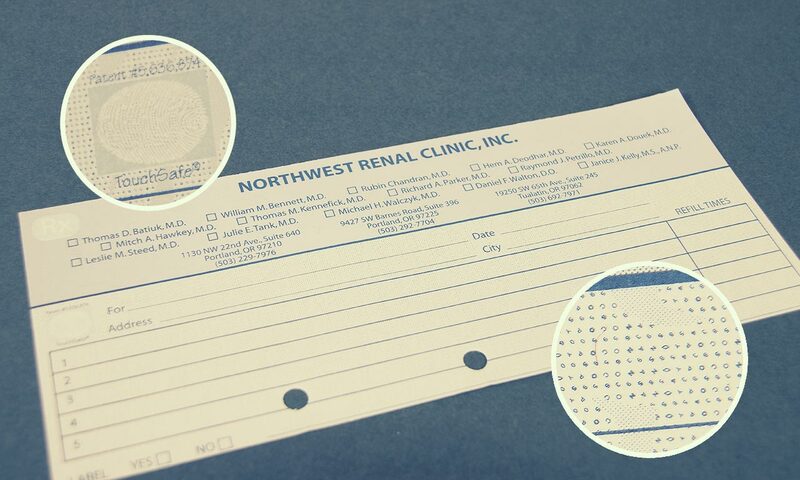 We create RX scripts for doctors, clinics, and hospitals which are easy to recognize as originals. Don't take a chance with cheap and plain paper prescriptions, stop RX fraud by calling ISP today. Medical forms and prescription pads are becoming a popular target and have dual risks of potential fraud. On one end, prescription drugs can bring criminals high dollar value on the street, on the other end are prescription abusers who see prescription form counterfeiting as an easy way to supply a habit. Secure Prescription Pads are being adopted not only by medical practices but also state governments who wish to control this problem. 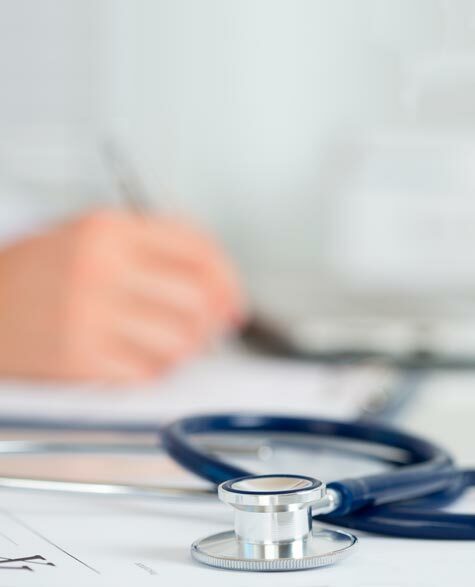 International Security Products has been an accredited producer of security prescription forms for many types of customers and produces secure medical documents that are easy to verify by any pharmacist. Through our online ordering site physicians can fill out, proof, and order their prescription pads. 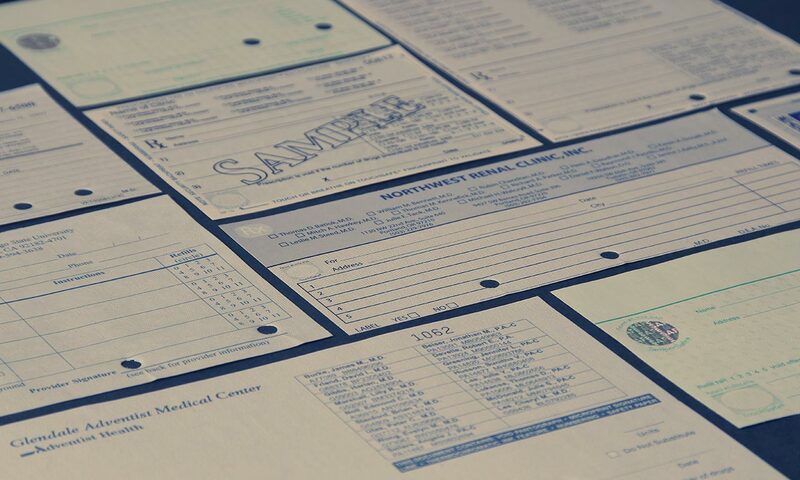 We have script layouts that accomodate multiple physicians and addresses plus options for uploading your logo on a single physician prescription form. 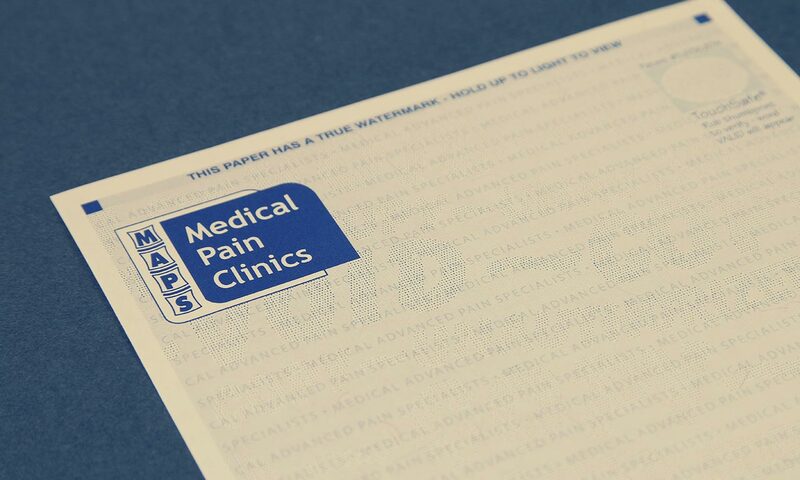 If you have a custom medical form or prescription pad in mind just contact us and we would be happy to look at your needs and give you a quote. Through our secure printing facility and patented technology we promise some of the best security you will find anywhere. 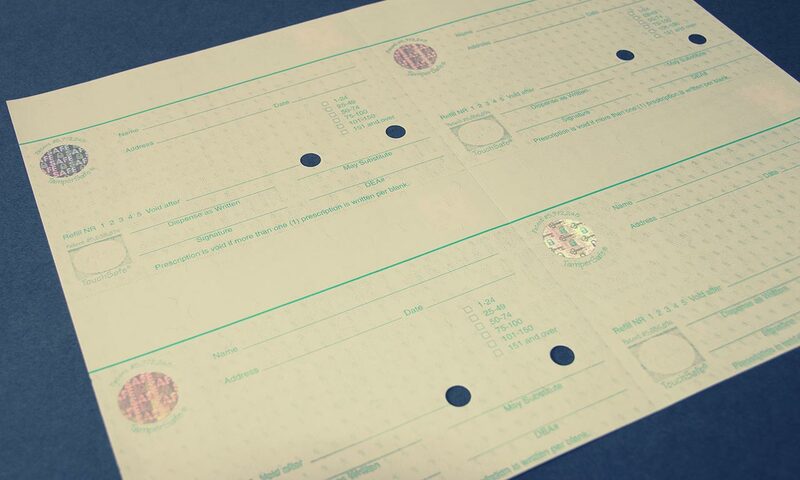 As of October 1, 2007 all Medicaid prescriptions must be written on tamper resistant prescription pads. While the guidelines aren’t as strict as California it is a step to prevent prescription fraud. These tamper resistant prescription pads are to include a chemical sensitive substrate, VOID background, and an erasure evident property in the scrip body. International Security Products already has several designs running that comply with these requirments and of course many more that surpass these specifications. Effective October 1, 2007, in order for Medicaid outpatient drugs to be reimbursable by the federal government, all written, non-electronic prescriptions must be written on tamper-resistant prescription pads. This mandate has been delayed by 6 months with an effective date of March 31, 2008. The State of California currently uses tamper-resistant prescription pads for controlled substances which exceed the federal Medicaid requirement. California’s current approved controlled substance prescription pads MUST be utilized for ALL controlled substance prescriptions regardless if they are Medicaid or not. Cllick here for a PDF. ISP is a Certified Provider for many states including California and has partnered with Rx Litho as a focused medical imprint portal. 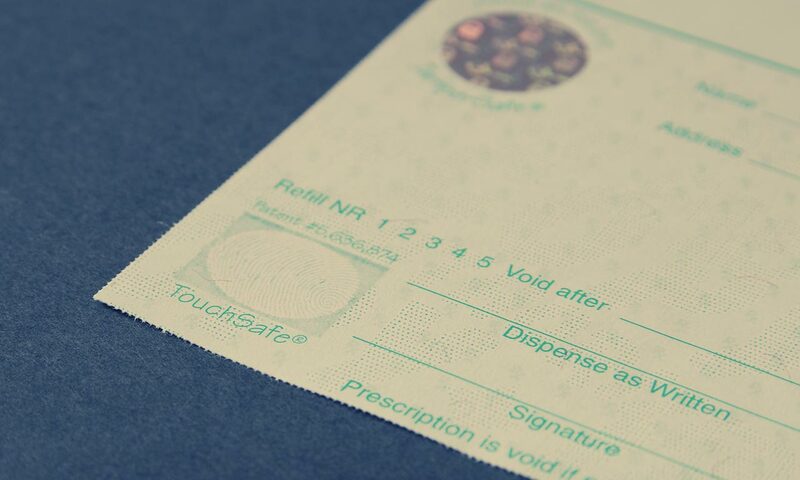 If you are a qualified physician or clinic and would like to order tamper resistant pads, click on the link below to go to Rx Litho and order your secure pads.